You’re not going to want to miss these opportunities this weekend if you can help it! Check out my post on the Dallas Moms Blog about Stephanie’s Day at NorthPark Center and WRITE HERE North Texas Author Festival at Legacy Books, featuring local author and mother, Elizabeth Scott. 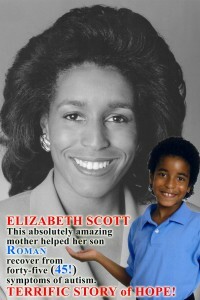 Elizabeth recovered her son, Roman, from Autism utilizing “Skills and Drills” and shares their journey in her two books.